There's no shortage of exercise trackers in the Market these days, but if you're looking for something fully-featured, comprehensive, and user friendly, Endomondo Sports Tracker PRO is the way to go. 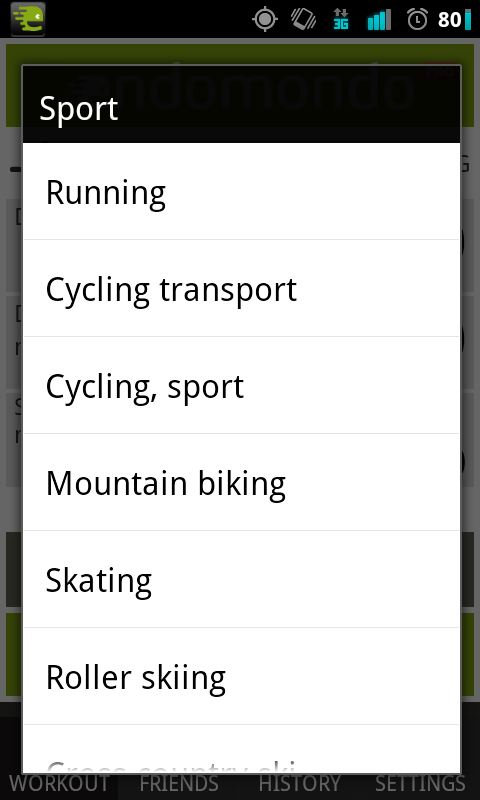 To start, Endomondo gives you an incredibly expansive list of activities to track. 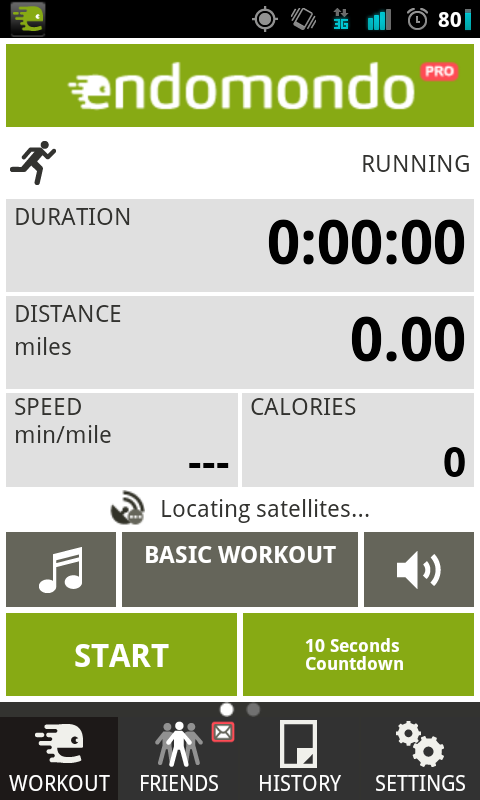 You're not limited to just running or biking with this app. It covers things like badminton, baseball, yoga, and kayaking, just to name a few. If there's something that gets your heart rate going, Endomondo probably tracks it. 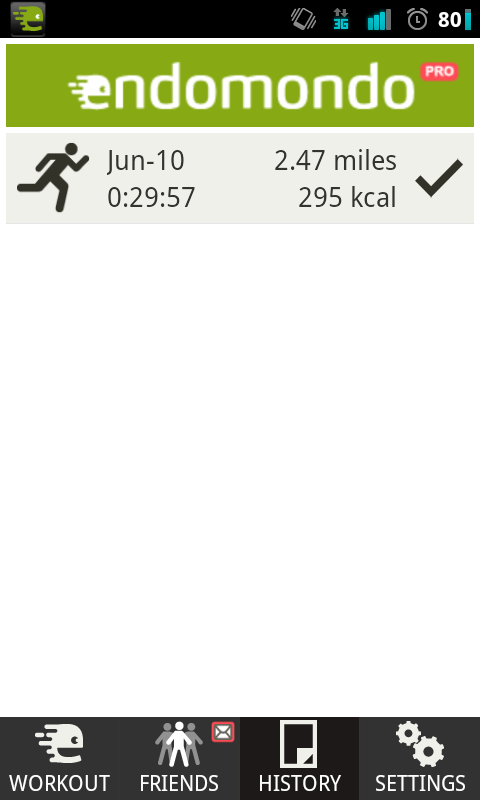 Endomondo also supports full GPS tracking while you exercise, so if you are doing something mobile and outside, Endomondo can tell you your average mile pace, total distance covered, and time spent working out. 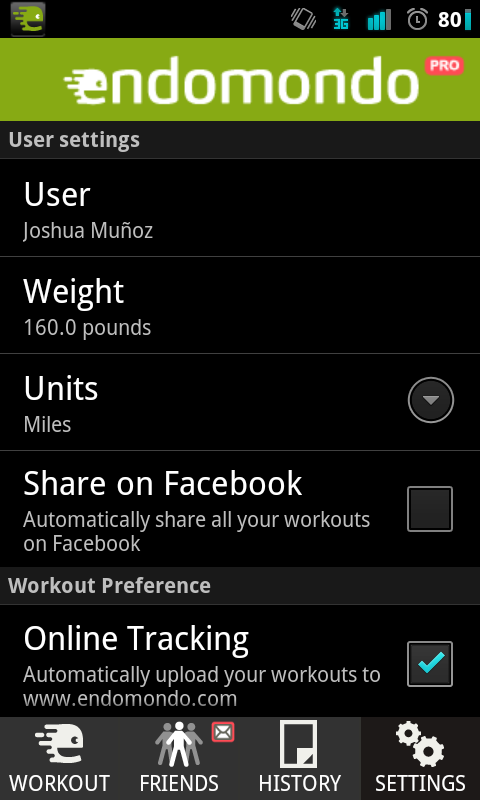 It can also give you an estimate of calories burned, based off of your weight and pace. 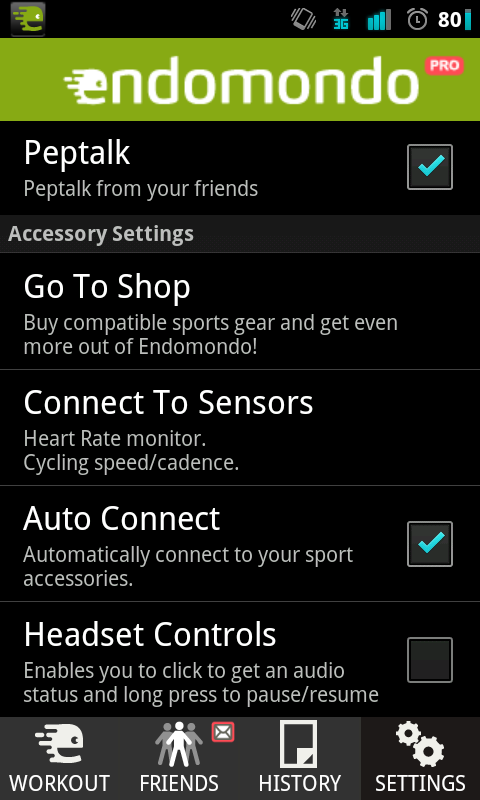 Endomondo also supports Bluetooth heart rate monitors (my favorite part!) so you can check if you're hitting your target heart rate during exercise. 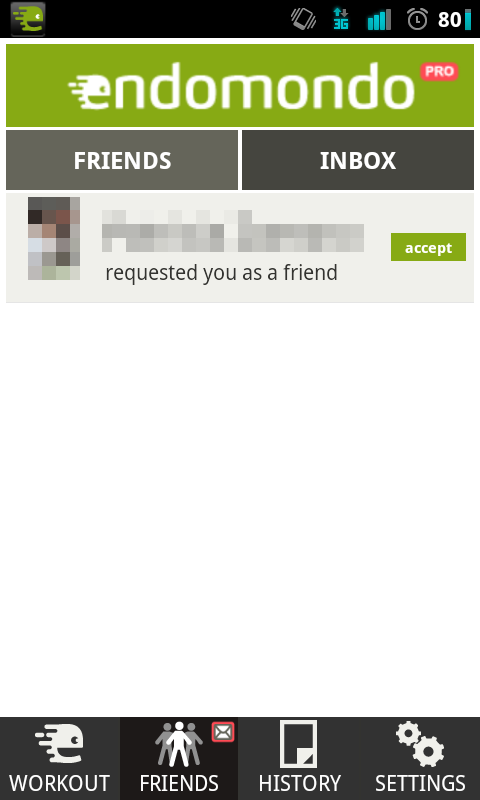 Pairing is simple and once you've paired once, Endomondo will automatically sync up when the app is opened. The app also keeps a saved history of all your workouts, so you can compare times against older workouts to see if you're improving, but if you have to wipe your phone, your list will disappear. 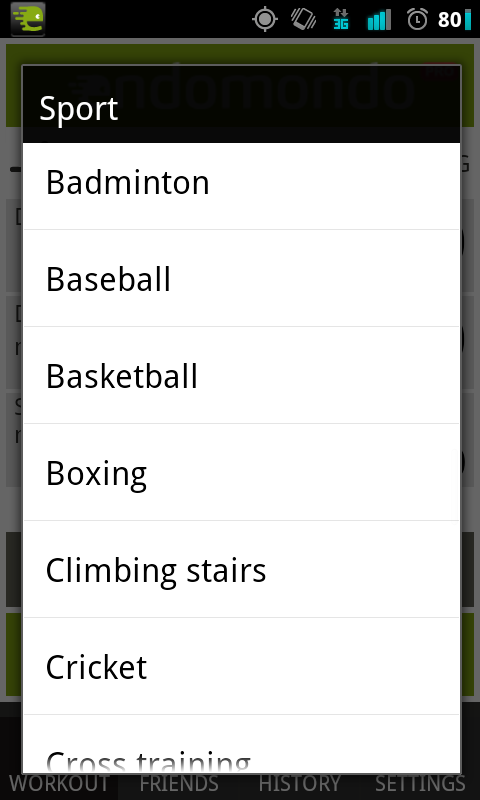 All of your workouts get automatically uploaded to your workout portal on Endomondo's website, but syncing from website to phone isn't possible. Endomondo also boasts a social aspect to exercise, so you can friend other people using the app and see when they start working out as well as checking out their results when they're done. You have the option (from the website) to send messages to your friends that are in-progess, so feel free to trash talk or send words of encouragement. Just know your friend will hear these messages read out to them while they exercise and they might return the favor. You can also set the app to automatically share your results with Facebook or Twitter, or you can manually share from the website. 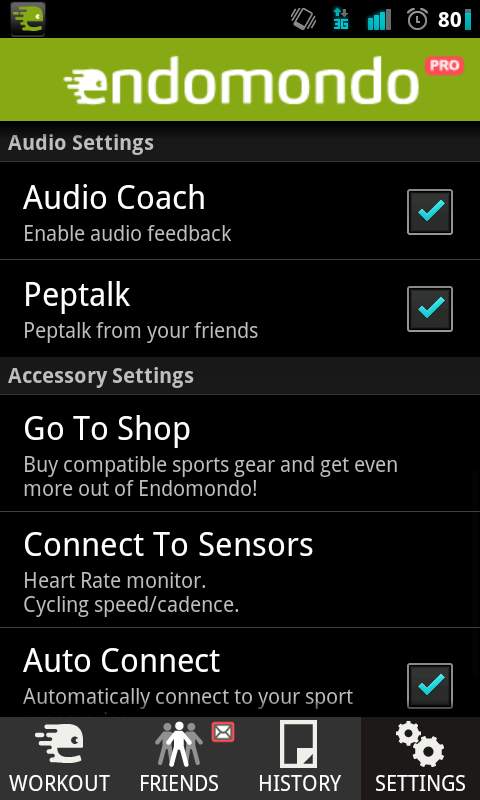 Endomondo PRO adds in the option to try and beat your own (or someone else's) time on a given workout, and the audio coach will give you periodic updates as to how you're doing on your goal. It seems like a simple thing, but when you're striving for a better time (on say, a 5K), it's a huge help to get continuous, real-time feedback on your performance. 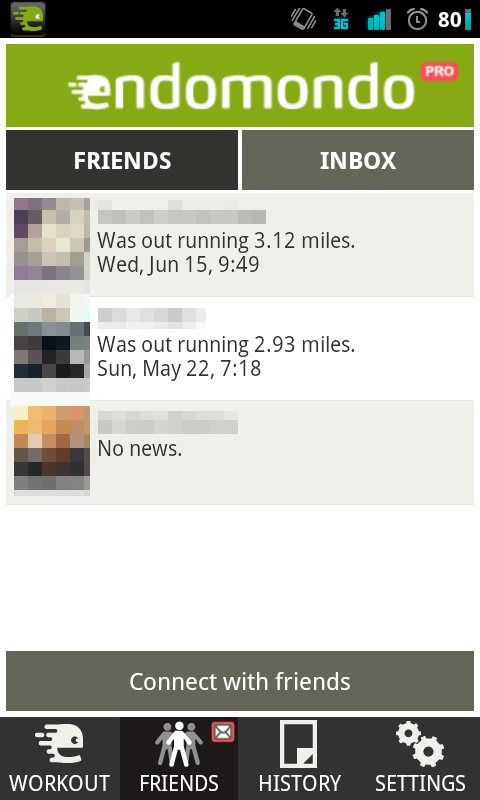 Endomondo PRO is, in my opinion, the king of exercise tracking. At ~$4.26, it's definitely not free, but for how detailed and well-maintained the app is, it's a small price to pay, especially if you're serious about getting in shape. Maybe you could skip your morning coffee one day to pay for it and go running instead. Give it a try! Your body will thank you for it. More pictures and download links after the break.